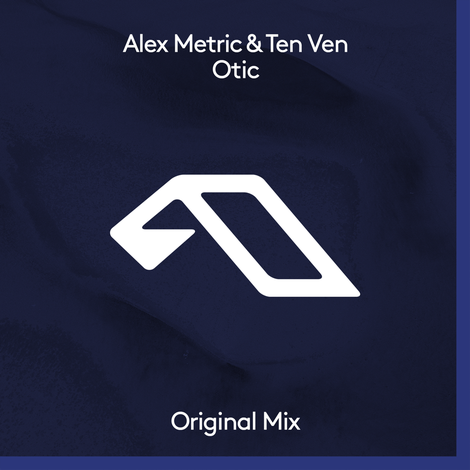 Marking their debut release on Anjunadeep, producer and musician, Alex Metric, teams up with emerging DJ/producer, Ten Ven, on their new groove-heavy club track ‘Otic’, a track that has been a highlight of Solomun’s recent sets, with further support from Joris Voorn, Gorgon City, Cassius and more. Individually, the British pair boast a back catalogue of production credits, with Alex called upon by the likes of Depeche Mode, Ellie Goulding and Gorillaz to give his spin on their tracks. Drawing on musical influences ranging from Chicago house and French disco, to British techno, Ten Ven is a versatile studio talent. He’s recently made a name for himself with releases on Greco-Roman, Noir, Partyfine, MTA, Weapons and Shadow Child’s Food imprint, and produced for the likes of Dua Lipa and Fenech Soler. Support for his solo productions (Honshu Wolf EP, ‘Turn It Up’), has come from the BBC’s Pete Tong, Annie Mac, and Target, along with DJs such as Joris Voorn, Monki, Groove Armada, MJ Cole, and Skream. On ‘Otic’, Metric and Ten Ven’s production sees them fuse emotive synths with a surging low-end, showcasing their ability to combine melodic flair with grooves, while the filtered breakdown marks it out as a possible big track.